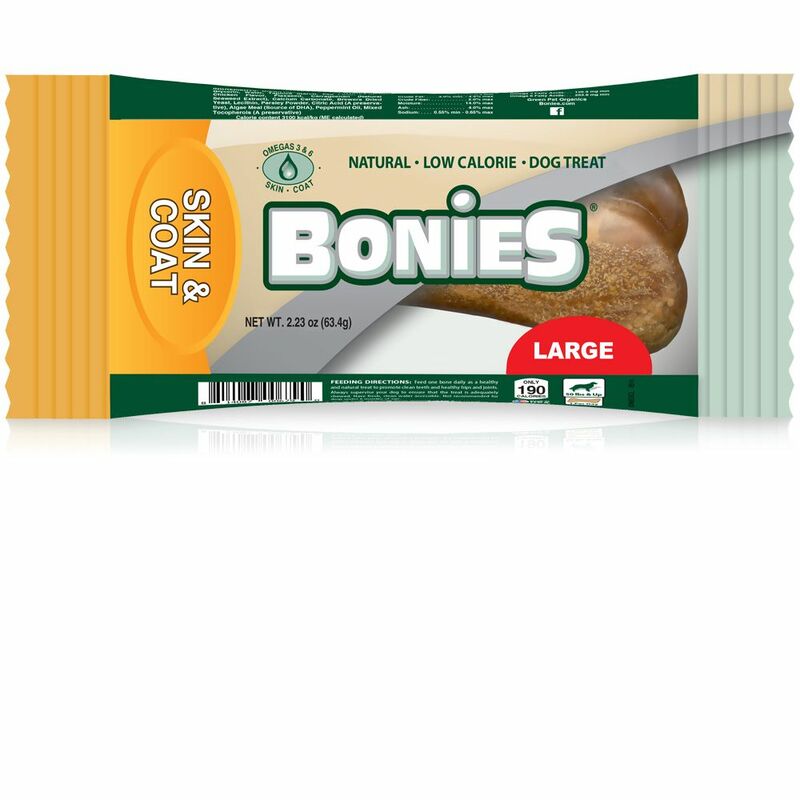 BONIES Skin & Coat Health is a unique dog bone that uses all-natural ingredients. Made to be a healthy treat for your dog while freshening their breath at the same time. Intended for dogs weighing 25 or more lbs. My germanshepard likes it good for her coat too.